Morrigan is cursed. Not only do the townspeople blame her for everything that goes wrong in their lives, they demand compensation. Luckily her father is extremely rich. Morrigan lives in a loveless world where her freedom is measured by the potential damage her presence might cause. As a cursed child, she is also scheduled to die on her twelfth birthday but everything changes on Bid Day. Not only do four sponsors vie to retain Morrigan as their apprentice, the sky clock cuts her expected lifespan short – by a whole year. Of course, Morrigan can't die when the story is about her, but the setup is definitely a high-action way to start. With an eight-legged all-terrain vehicle, a Magnificat as tall as a door, dragons, shadow creatures and a Hotel that changes its internals the way I change my clothes, Nevermoor is a world that hooks the imagination and doesn't let go. There's mystery, excitement and a few rather unusual challenges. Morrigan, her horrendous family and new-found friends are well-formed personalities I quickly came to care about (or dislike intensely). 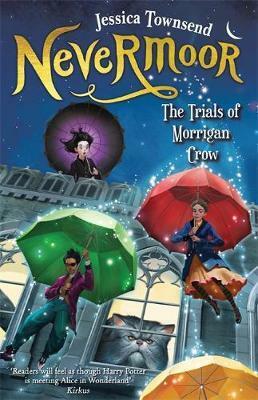 I hope you enjoy Nevermoor half as much as I did.